Obituary for Ms. Simone Haye | C. C. Carter Funeral Home, Inc.
Ms. Simone Victoria Haye was born to Fern Haye (transitioned September 8, 2000) and Glenmore Burgess on December 22, 1985. Simone welcomed into this world Madison Fern-Simone Thompson with her fiancé Dwight S. Thompson on March 2, 2019. Our angel Simone departed gracefully on March 18, 2019 at the age of 33. A resident of Newport News Virginia, Simone graduated from Heritage High School and furthered her education by attending and graduating with honors from Hampton University with a degree in Nursing. Recently graduating from Walden University, Simone obtained her masters degree as to fill that ongoing desire to further her education. This fiery and free spirited Angel of Ours put use of her healing and giving nature by working as a Nurse Navigator at the Veterans Administration Hospital. After the passing of her mother Fern, Simone was embraced by the Rousseau family, Leroy, Alcidine, Tyler and Tamer. Simone being the kindest person we all knew loved to travel, shop, eat, spend time with friends and family. This shopaholic had a keen eye for quality clothing and bags just like her father Glenmore Burgess and Aunt Dawnette Sodipo. She loved her roots and would travel to visit her Aunt Juliet and Uncle Clive Anderson in Kingston, Jamaica. This socialite loved to hang out, find the best food spots and converse with especially close friends Tamer Rousseau, Stephanie Marshall, Kelly Owens, Tia Bullen, Joan Thompson and cousin Theresa Speights. Simone Our Angel leaves behind a gorgeous baby girl Madison and fiancé Dwight Thompson. A loving stepmother Angela Burgess. Siblings Keith, Christopher, Donna, Ann and Glenmore Burgess. Her motherly aunts Juliet Anderson, Dawnette Sodipo and Rosemarie Ford. Cousins Marlon, Mario, Marbrico and Nadjia Anderson. Rashida McDonald, John Griffin and Theresa Speights and a host of friends and coworkers. 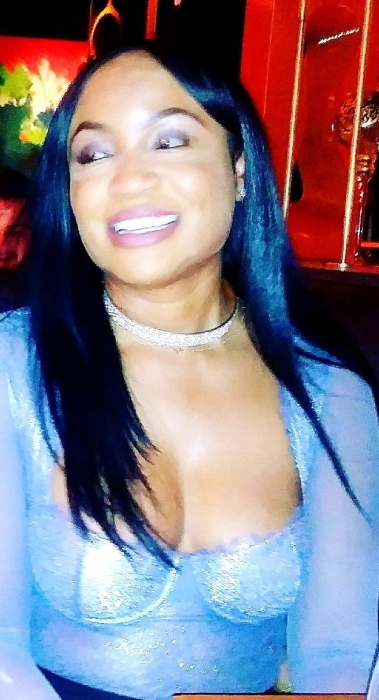 Services for Ms. Simone Haye will be held 11:00 a.m. Saturday, March 30, 2019 at New Hope Baptist Church, 1415 Big Bethel Road Hampton, VA 23666. Interment will follow at Peninsula Memorial Park. A viewing for Ms. Simone Haye will be held from noon to 6:00 p.m. Friday, March 29, 2019 at C.C. Carter Funeral Home, Inc. 3314 Roanoke Ave, Newport News, VA 23607. It is the desire of the Haye family that you keep them in your thoughts and prayers. The family of the late Ms. Simone Haye has entrusted her final care to the staff at C.C. Carter Funeral Home, Inc.